A Fargo, North Dakota, woman disappeared over the weekend, and police have opened up a criminal investigation into her case. 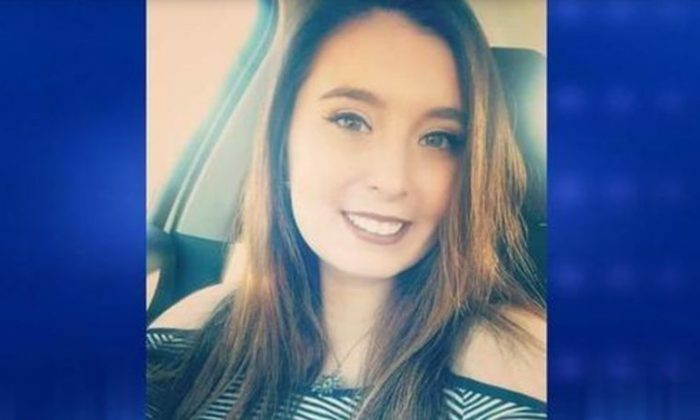 Savanna Greywind, 22, who is pregnant, was last seen Saturday afternoon when she tried to help a neighbor who needed a dress model, the Duluth News-Tribune reported. She was eight months pregnant, Fargo Police said. “I immediately knew something was wrong because her car is here,” her mother, Norberta LaFontaine-Greywind, told the paper. She doesn’t believe her daughter would have left on her own accord. She also left behind her car and wallet. The family is now offering $7,000 for information that leads to her case being solved. Fargo Police, in a statement, said they have spoken to her family, friends, employer, neighbors, and boyfriend. According to news station WDAZ, she had been texting with her boyfriend but stopped answering. They’ve also carried out two K9 searches but haven’t figured out where she is. “My daughter is always on Facebook, always texting,” the mother said, adding that Savanna had posted or shared posts on Facebook on Saturday morning. “At this time, there is nothing to suggest criminal activity,” Fargo Deputy Police Chief Joe Anderson told the News Tribune. Anyone with information can contact Fargo Police at 701-235-4495.